A portion of the proceeds from the Discovery Trail telescopes supports the Palos Verdes Peninsula Land Conservancy. Natural habitats peacefully co-exist with majestic splendor at L.A.’s oceanfront resort. Sweeping views of the Pacific Ocean grace the view as far as the eye can see. 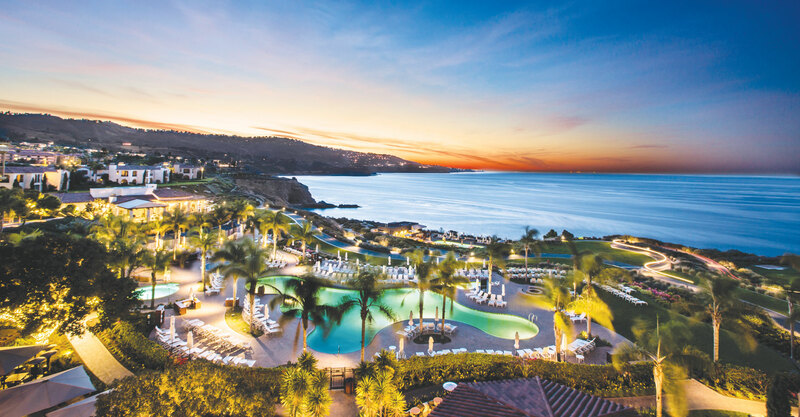 Perched along the bluffs of Rancho Palos Verdes, Terranea is in a league completely of its own – an architectural wonder standing tall along the Pacific Coastline. As Los Angeles County’s only true resort destination, it offers all of the amenities anticipated of a luxury resort: elegantly appointed accommodations, a world-class spa, and an executive golf course. Additionally, be sure not to miss its eight unique dining experiences, four saltwater pools, hiking trails, Tide Pool Kids Club, and Adventure Concierge. Did we mention that whale, sea lion, and seal sightings are the normal? 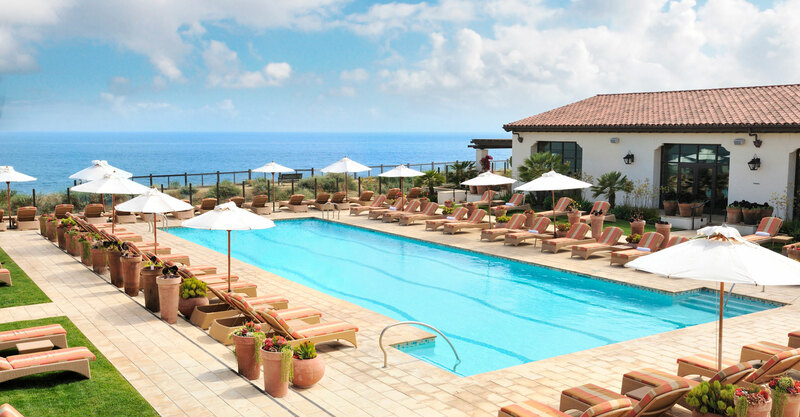 Sharing kindness to Mama Earth, Terranea is also known as an eco-friendly resort aligned with Destination Earth environmental initiatives to minimize the resort’s footprint. Its sustainable efforts help to protect and enhance the biodiversity of its natural ecosystem and wildlife and plant habitats and promote recycling throughout the resort with a goal of 0 percent waste. They also ensure the purchase of local and organic food and beverages, when possible. A hotel as KIND as it is beautiful? Yes, please. One of Terranea’s core principles it to create an authentic sense of place through design that reflects the beauty from its natural surroundings. 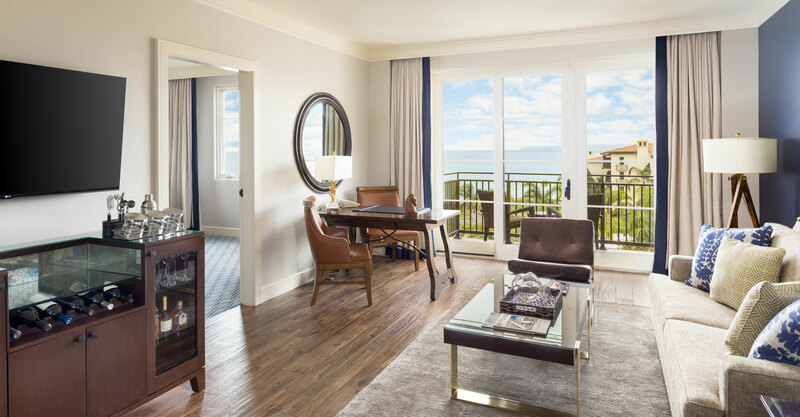 The 102-acre estate features 582 guestrooms and suites splendidly situated on the southern tip of the Palos Verdes Peninsula. You’ll find its rooms and suites bathed in natural light and a tranquil ambience with spacious balconies. Because of its positioning, the resort offers a 270-degree ocean view, with 90 percent of guestrooms offering a sights of the majestic Pacific. 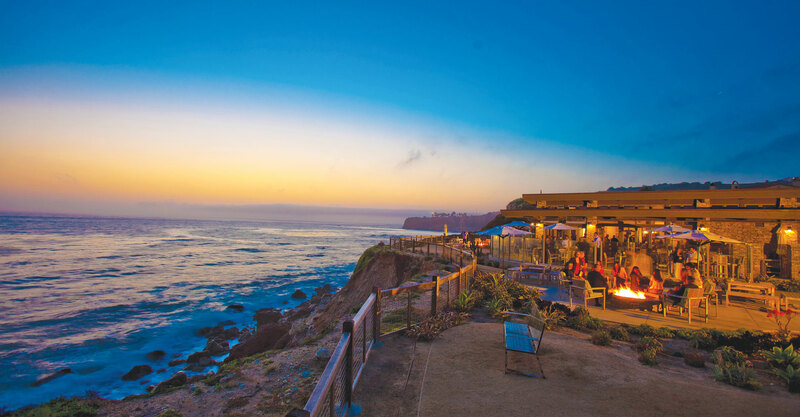 If the luxurious accommodations weren't already enough, Terranea boasts some of the most incredible and environmentally conscious eateries in Southern California. Each restaurant has its own flair, drawing emphasis to flavors from Southern California, Mexico, Japan, and Italy. We hope you've brought an appetite! A core principle of Terranea’s dining program includes sourcing food with a FLOSS philosophy of Fresh, Local, Organic, Seasonable and Sustainable. Mar'sel - Enjoy an aromatic take on farm-to-table to cuisine at Mar'sel. Helmed by Chef de Cuisine Andrew Vaughan, Mar'sel puts focus on seasonal ingredients, creating flavors that take your palate to new levels. Many of the herbs used are grown on-site as well, making the menu one born on sustainability. Mar'sel also features craft cocktails and local microbrews so pairing options are endless! PS: the fennel soup is a crowd favorite. Catalina Kitchen - With a view of Catalina Island through the window, Catalina Kitchen features the flavors of the California Coast with New American food featuring dishes that include fresh, wild-caught salmon, and tasty salads. Dishes are simply composed with high-quality, seasonal, and locally sourced ingredients. The kitchen is open too, providing excitement as you watch your dishes being prepared before your very eyes. Nelson's - Another one of Terranea's flagship establishments and known as one of the top ten eco-friendly bars in the United States, Nelson's offers classic twists on your favorite beverages with unsurpassed freshness. Have you ever had a whiskey sour with locally sourced honey from a bee farm just within walking distance? Bashi - The only on-site restaurant that features contemporary Asian flavors, Bashi's ambiance is laid back, with beautiful wooden tables and contemporary wicker chairs. Signature dishes include the garlic noodles, and crispy whole fish. Let's not forget – all dishes are locally sourced and dependent on seasonal availability, making the taste exceptional and keeping the carbon footprint to a minimum. Spa Café - Healthy eating has never been so easy! Located adjacent to the spa pool, Spa Café offers pre and post workout smoothies, salads, fresh juices, and sandwiches. There'a also poolside cabanas and a fire pit, where you can relax and recharge. We love its green juice a hearty blend of green apple, kale, spinach, lemon, parsley, and pear.A great juice to clean your body and start the day. Sea Beans - An artisan café conveniently located at the entry of the resort? Don't mind if we indulge! Terranea's done it again with their one-of-a-kind cafe offering everything from roasted coffee to house-made pastries, salads, and soups. With such fresh ingredients, it may be hard to decide on what to order. Its local iced coffee is ahhmazing, too. Try it with a little vanilla almond milk, for the sweet-tooth inclined. Don't say we didn't warn you. Cielo Point - Situated as a poolside bar, fine dining takes a different spin at Cielo Point. With quintessential poolside staples like ahi poke, and seasonal cocktails to boot, Cielo Point is an ideal location to unwind with a drink in hand. The local seafood macaroni salad is to die for, and the Tiki a la Cielo (white rum, Gin, lime, passion fruit, Frangelico, dark rum, pineapple, orange, cherry, grenadine) ranks as one of the best summer cocktails, at least in our book. If the views of the ocean alone aren't enough to have you feeling like the sultan of SoCal, surely Terranea's long dossier of amenities will be the icing on the cake. Whether you're in the mood for a swim, hike, or even a long day of nothing except sitting by the sea, Terranea has it all. 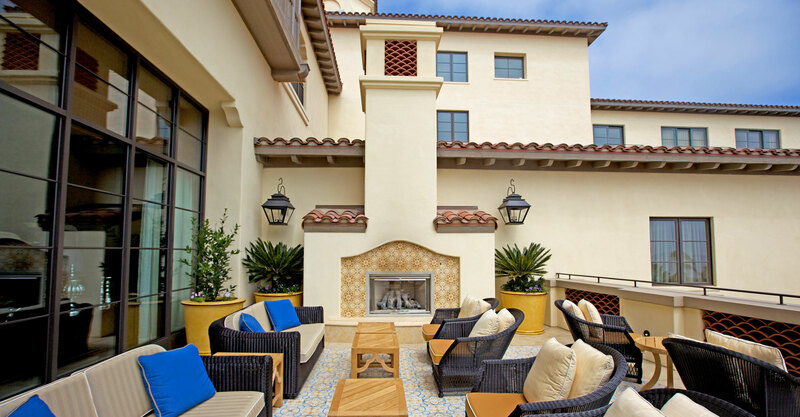 The Spa at Terranea - Give both body and mind a much-needed polish and prepare for a soul reawakening. 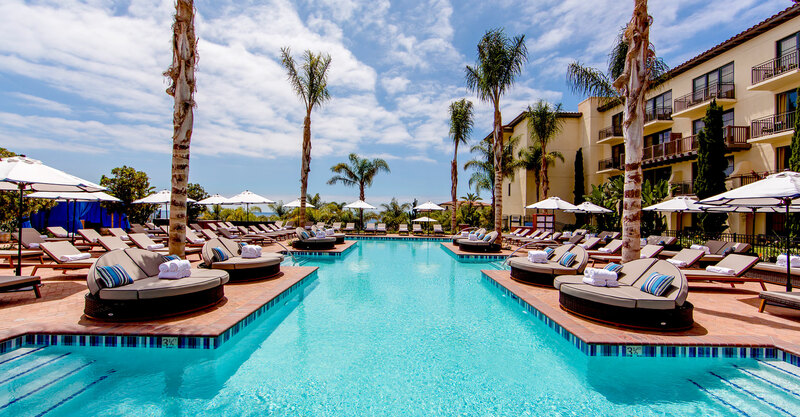 The Spa at Terranea boasts 50,000 square feet of oceanfront bliss: 25 treatment rooms, three VIP spa suites, private adult spa pool and cabanas, movement studios and more. Try one of its recommended three-part treatments – Flickering Embers, set against a private oceanfront backdrop. Designed to balance and detoxify, bask in the pacifying warmth of a nutrient-rich volcanic ash body wrap. Say goodbye to toxins as mud draws them away, leaving skin with a re-mineralized glow. Follow with a plunge into a copper tub steeped with essential oils and magnesium. End with a massage to seal in all healing benefits. Fitness & Wellness Center - At this cutting edge, 5,000 square foot facility, you'll find state-of-the-art gym equipment like treadmills, ellipticals, and bikes, as well as many unique fitness classes. Some of the classes include Aqua Zumba, Aquatic Conditioning, Yoga, Hiking, and Pilates. Whatever it is that you enjoy, you'll surely find it in some facet at the Fitness & Wellness Center. Salon - Using eco-friendly beauty products (also cruelty-free! ), the salon offers manicures, pedicures, and hair and makeup treatments. You'll transform under the hands of some of Southern California's best cosmetologists. Each treatment is catered to you personally, with the registered professionals working to reveal your inner beauty. Pointe Discovery - Offering a unique shopping experience inspired by the culture of Southern California, guests can browse a large collection of active and swim wear, jewelry from local designers, and educational toys. Don't forget to grab Grandma a monogrammed mug! Marea - the Spanish and Italian word for tide, is another exquisite retail experience that features high-end resort wear and adventure apparel. Spa Pool- In the heart of the spa complex, the Spa Pool has intimate seating areas, private cabanas, and fire pits all circled around a 25-meter pool. Dive in! Cielo Point Pool - Looking for an adults-only sanctuary with exotic cocktails? Explore a chic atmosphere, amazing views, and a poolside fire pit. Be adventurous and try a fancy libation, or stick to your classics like a Cadillac Margarita, extra salt. Resort Pool - An ideal haven for families to relax, you’ll ensure the kiddos are having a great, safe time. Kids will love the 140-foot water slide and splashing around in the splash zone. For the adults, there are also two jacuzzis, a fire pit, and a poolside food and drink menu. Aqua-Terra Adventures - Explore the pristine waters of Palos Verdes with an adventurous mindset. Terranea can arrange for you to hit the sea by kayak,paddle-board or go on a guided whale watching tour. If hopping in the ocean sounds a bit too, well, “Jaws” music inducing, then we suggest trying a guided bike ride or exploring one of the oceanside trails. 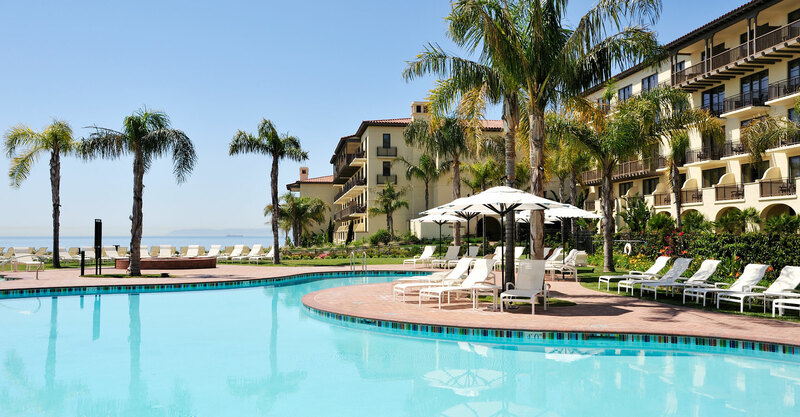 Kids Activities - Kids will have the time of their lives at Terranea (yes, we are serious!). 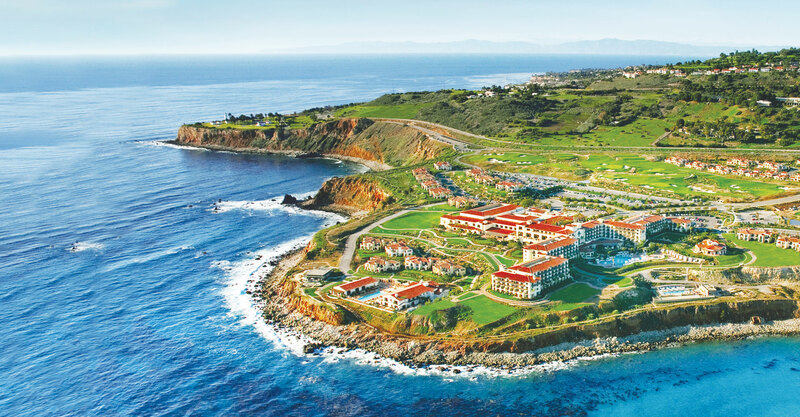 For the most hands-on experience, Terranea offers the Tide Pool Adventure Camp which involves golf lessons, art projects, swimming in the kids pool, and hiking on the glorious coastal trails. This may be a win-win for parents and kids alike. Golf Course - Terranea's flagship course, The Links, is a beautifully kept 9-hole par-3 golf course. Crafted eloquently into the hills of Palos Verdes, the course achieves the very reason golf is so enjoyable – amazing scenery and elegant design. Looking to shake some rust off that swing? The Links at Terranea also offers golf lessons for all levels so you can turn that Happy Gilmore into a Mickelson. Ranging from 450-2,200 sq. feet, the California Oceanfront rooms are elegant beyond belief. Sweeping views of the ocean are almost a side note amidst the upgraded amenities. 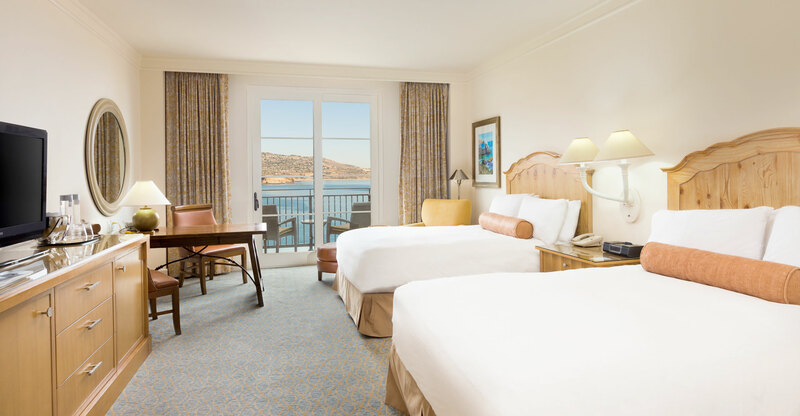 Relax, wake, and sleep to the sounds of the ocean in this spacious guestroom suite. 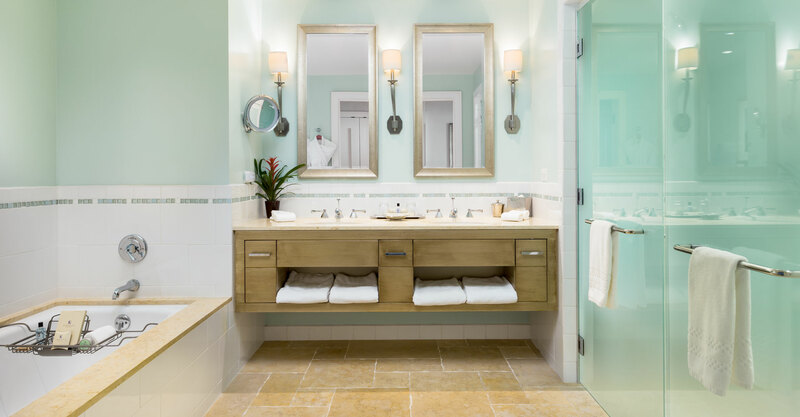 Each room is outfitted with a four-fixture stone bathroom with separate bathtubs and showers, pillow-top bed with luxurious linens, a 37-inch LCD flat screen television, two dual-line telephones, iPod docking statin, and private balcony. 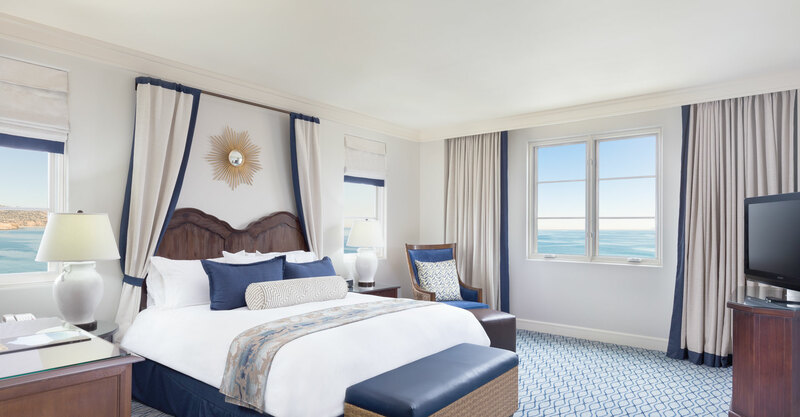 Available as either oceanfront or ocean-view, the Luxury Suites come with 900 square feet of spacious luxury, a five-fixture stone master bathroom, guest bathroom with L'Occitane ocean-inspired bathroom products, two televisions, in-room minibar, and a pillow-top king bed. For family travelers, these suites can be expanded into a two-bedroom suite, so that you can sleep your family comfortably. 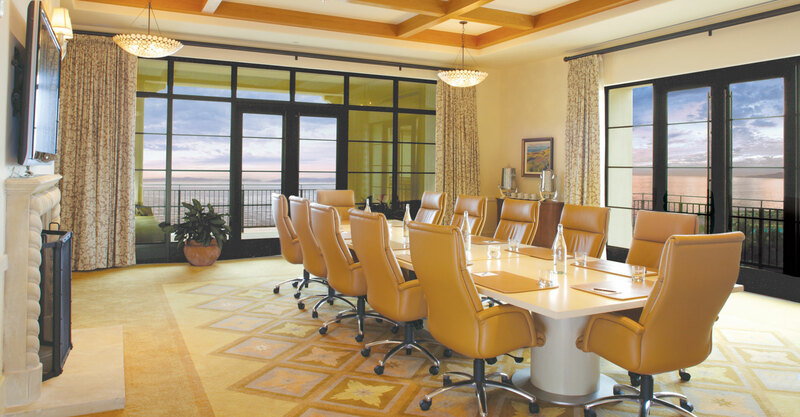 For those seeking true luxury, the Vanderlip Suite offers 2,200 square feet, making it perfect for entertaining. It's oceanside, too, has a separate living room and dining area, an in-suite pantry with full-size refrigerator and sink, and a fire place. Producing “oohs and ahhs” has never been so easy. Much like the Vanderlip Suite, well, more like the younger brother of the Vanderlip, the Shearwater Suite is slightly smaller at 1,800 square feet. Equipped with the same amenities as the Vanderlip, you'll be sure to have ample place to sprawl, eat, and unwind. 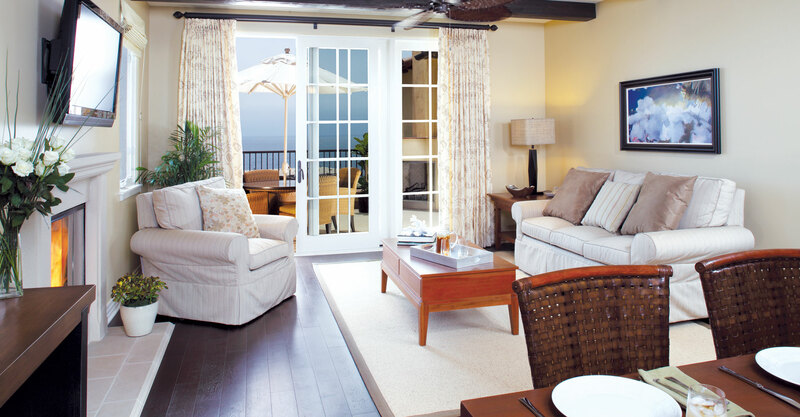 For those seeking a VIP, adults-only experience, the Bungalows at Terranea beckon you! You'll be whisked away with the artfully decorated oceanfront accommodations, and only a few steps from Terranea's relaxing spa pool and café. 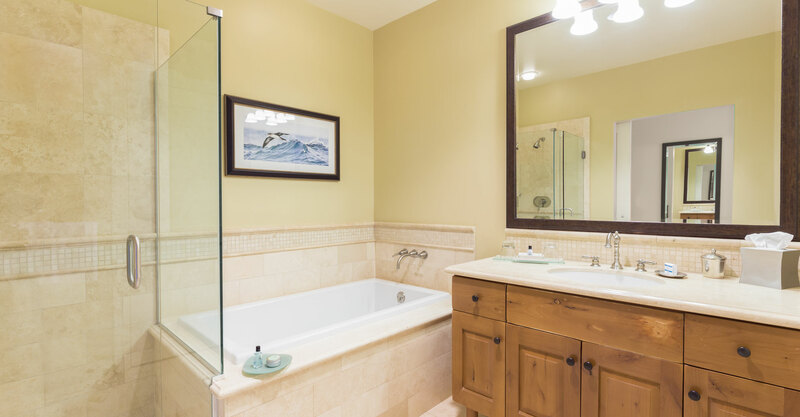 The one-bedroom Bungalow Suite has everything you need to make your extended stay a little piece of heaven. 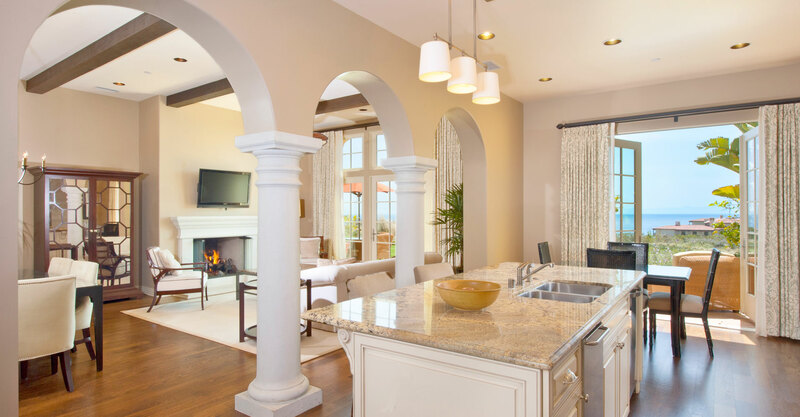 At 1,100 square feet and outfitted with a pillow-top king bed, five-fixture stone bathroom, living room, kitchen, washer and dryer, indoor and outdoor fireplace, and balcony, you'll surely have trouble finding the motivation to leave the room. With the exact same amenities as the one-bedroom suite, the two-bedroom Bungalow Suite offers a second bedroom with either one king or two double beds – perfect for families or a gathering of close friends. Situated on Terranea Resort's East and West bluffs, the Vacation Casitas have private entrances and, once you enter, it will feel like home. 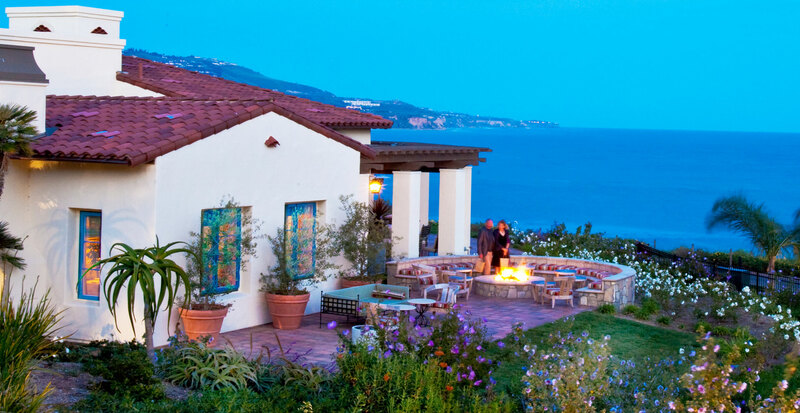 With some of the most expansive views on the Palos Verdes Peninsula, the vacation rentals are the perfect option for a family vacation or summertime getaway. 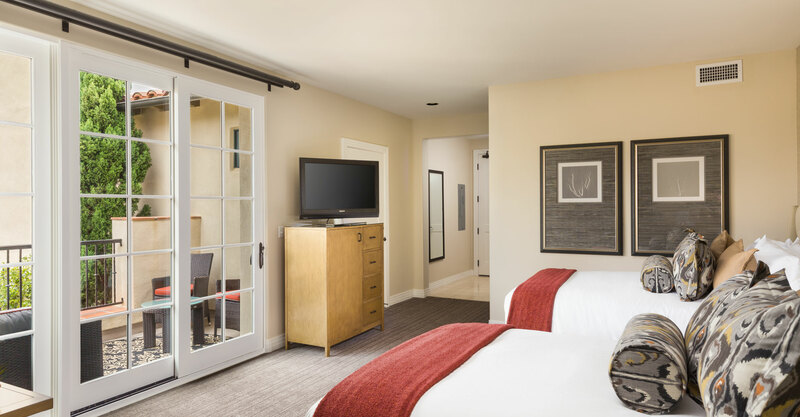 Outfitted with a pillow-top king bed with luxurious linens, a five-fixture stone bathroom, 42-inch flat screen television, separate living room, kitchen, indoor fireplace, washer and dryer, the one-bedroom Casita Suites boasts luxury and space. Much like one-bedroom Casita Suite, the two-bedroom Casita Suite features an extra bedroom with two pillow-top double beds and an additional 4-fixture stone bathroom. More space, more fun. 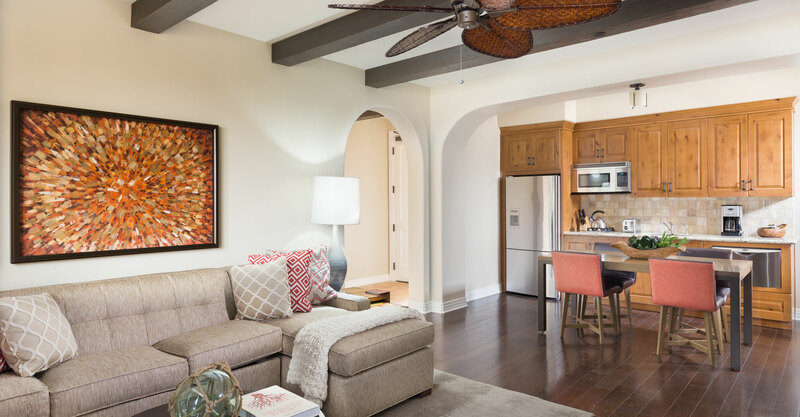 Featuring all the elegant amenities of the one and two bedroom suites, the three-bedroom Casita Suite features an additional non-connecting adjacent bedroom with a king size bed and a separate entrance. Located in a secluded enclave within the resort with sweeping views of the Pacific Coast and the Links at Terranea, Terranea's award-winning golf course, these private Villa residences feature world-class amenities and additional privileges like around-the-clock room service, daily maid service, dedicated concierge, private garages, private transportation, special spa privileges, and a private chef. Available in 2, 3, and 3 bedroom options, your ultimate luxury vacation getaway awaits. The following fees and deposits are charged by the property at check-in, or check-out. Explore the monthly ocean-inspired events and fundraisers with local San Pedro charity, Marine Mammal Care Center Los Angeles. Go souvenir shopping at the Sea Dog Gift Shop at the Marine Mammal Care Center Los Angeles. All proceeds support conservation efforts of local marine life. Don’t miss the many educational events, nature walks, films, and family activities hosted by the Palos Verdes Peninsula Land Conservancy. Avenue Italy offers award-winning Italian cuisine. Catering to the health conscious, don’t miss its kale salad, gluten-free pizzas, and delicious homemade pastas. Experience Yellow Vase Bakery, Cafe & Flowers, a unique neighborhood hybrid of decadent pastries, distinctive breakfast and lunch fare, a posh gift store, and an upscale florist. Head north to Redondo Beach and find one of L.A.’s best vegetarian, organic and sustainable dining experiences: The Green Temple. Visit the architectural masterpiece and sacred space of renowned organic architect, Lloyd Wright at The Wayfarers Chapel. All are welcome to participate in its worship services and events. Open to the public 364 days per year, visit South Coast Botanic, providing a unique horticultural and wildlife habitat experience and model of excellence for land sustainability. Since 1935, Cabrillo Marine Aquarium has been exhibiting Southern California’s rich diversity of local sea life. Visitors of all ages can discover interpretive displays and museum collections. 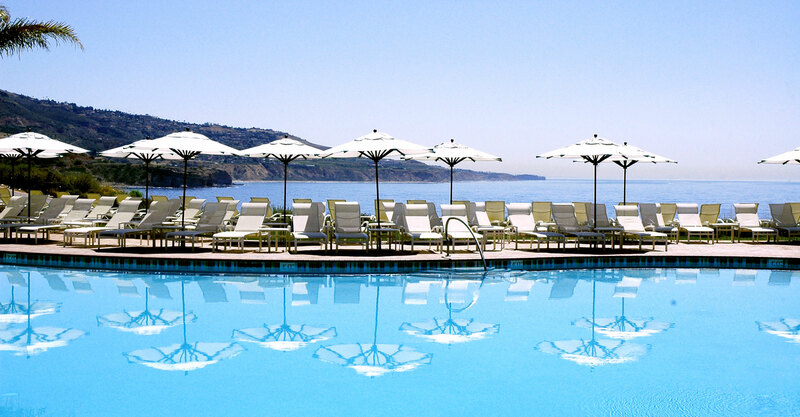 Discover Terranea’s abundance of water activities. They can easily facilitate ocean kayaking, surfing, tide pooling and stand up paddle boarding. Start by exploring Terranea’s activities menu. Daily nature walks, guided coastal hikes, and tennis with a view are complementary activities provided by Terranea. Just east of Rancho Palos Verdes, the Foresstal Nature Reserve has some of the best scenery and hiking in Southern California. When it comes to self love, it’s best to indulge at Terranea’s Spa. Voted as one of the ‘Top 5 Hotel Spas in the Continental U.S.’ by Travel + Leisure, there’s no better place to connect with nature and emerge renewed. Love healing rituals? Don’t miss Terranea’s daily sunset ritual, the ringing of the crystal bowls. As an ancient ritual, it’s known for its healing through sound and vibration. If leaving the hotel grounds is your MO, check out paddle board yoga on eco-friendly boards at Paddle House in Redondo Beach (about 15 minutes north of Palos Verdes).